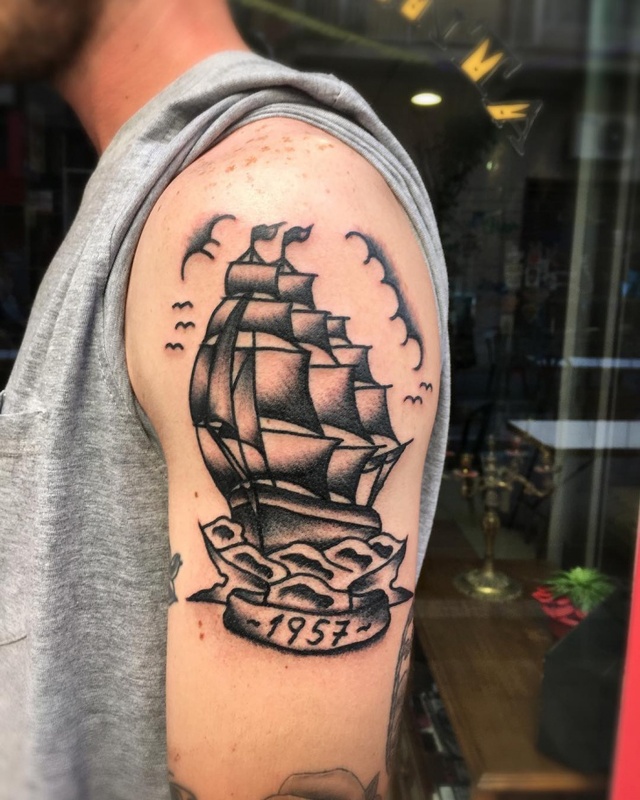 According to a popular quote,‘ A ship in a harbor is safe but that’s not what ships are built for’, each of these tattoos also has a hidden meaning like this. 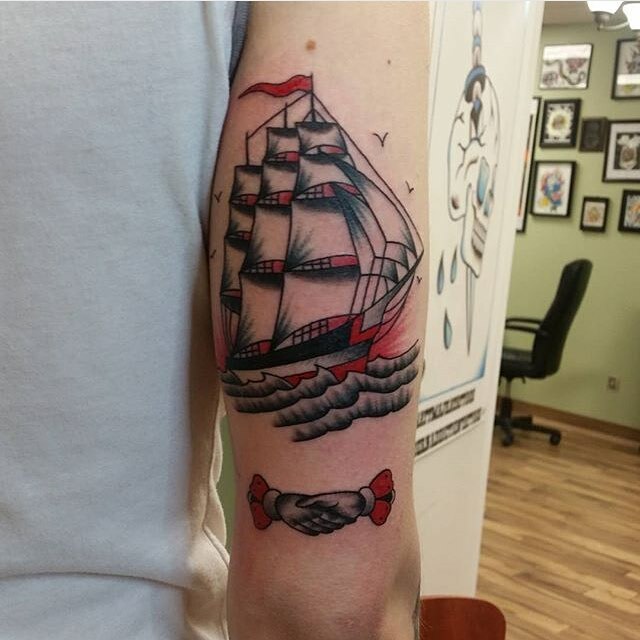 Life is like a ship, you have to keep sailing, even if you come across rough patches. 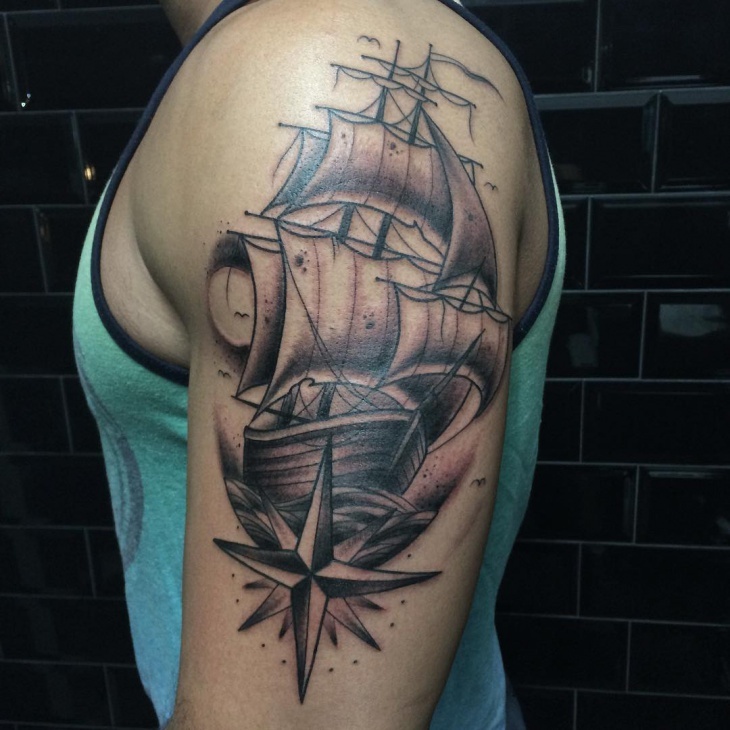 Based on this we have found 10 amazing ship tattoo designs as an inspiration for you. If you are wondering why are we stuck on ‘ships’ today, you need to scroll down. 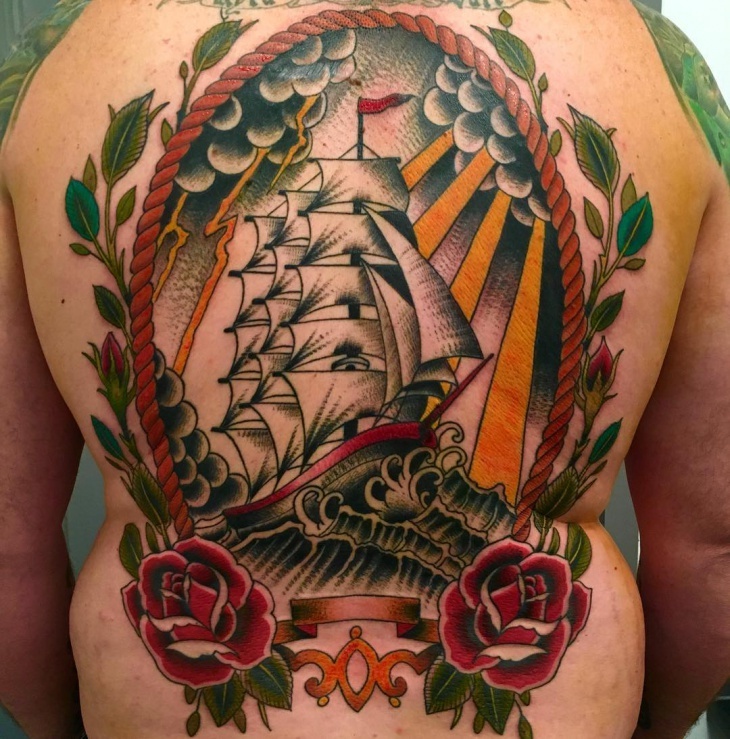 We have 10 ship tattoo designs and these are surely going to blow the wind out of your sail. 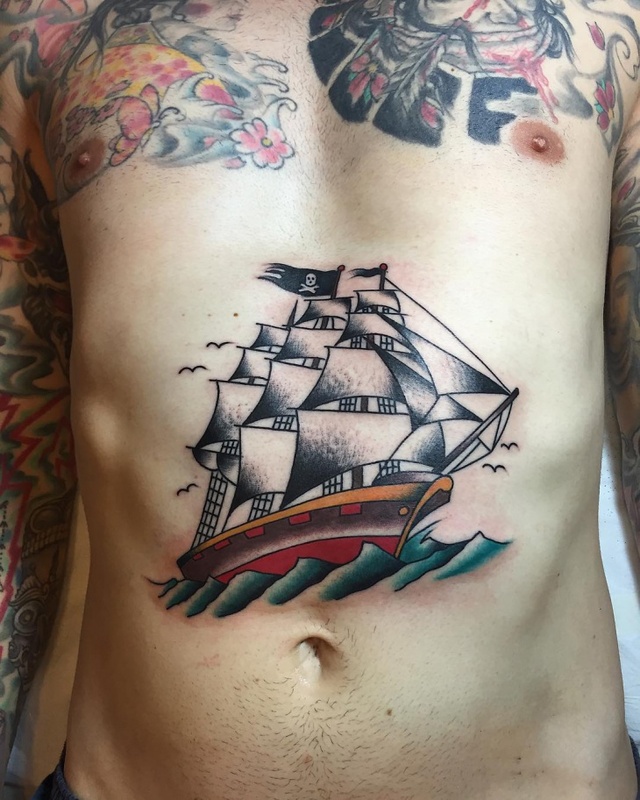 This is a very traditional design of a ship. 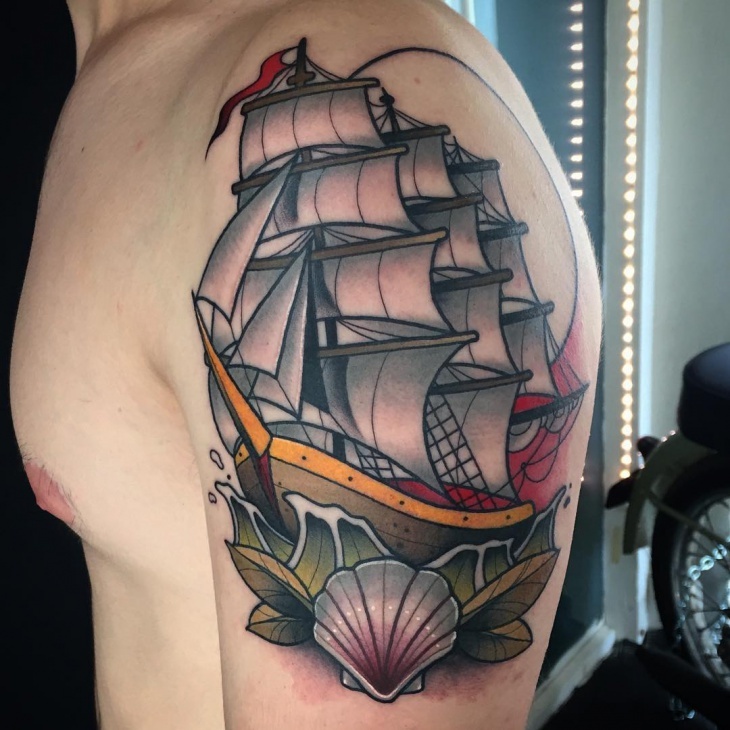 There is seashell at the bottom and the ship above it. 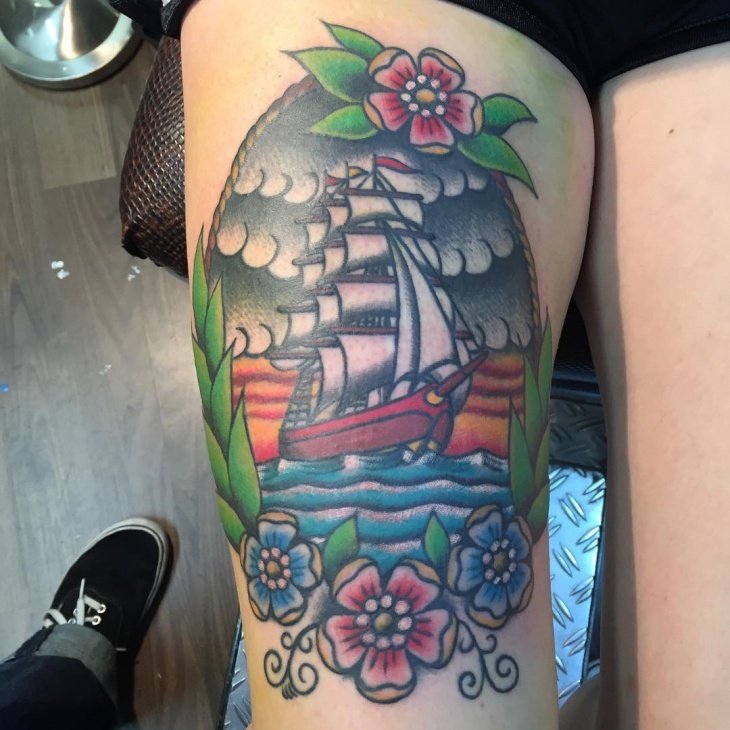 The color used on to it gives out a very realistic traditional look and feel. 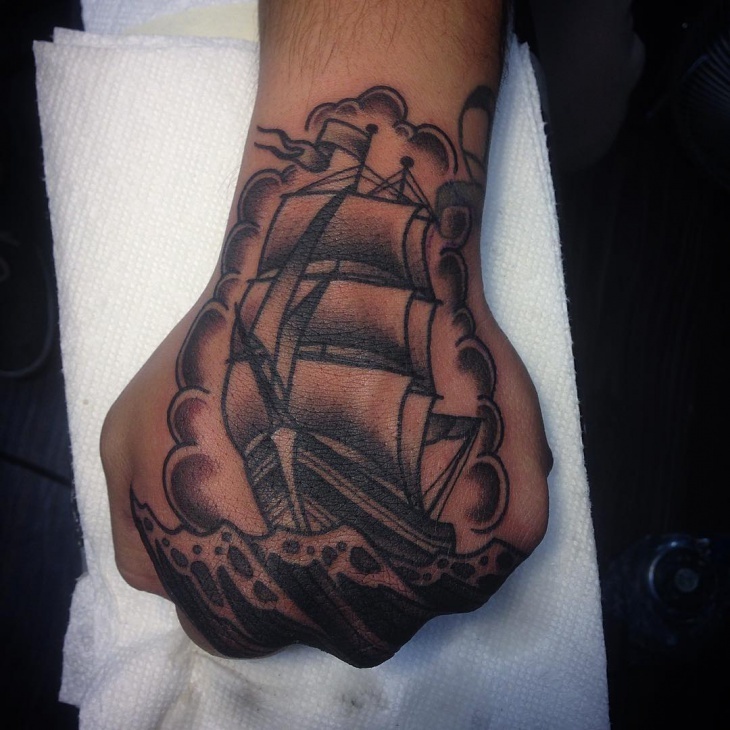 If you are planning to get a tattoo on your hand, this is the perfect one. 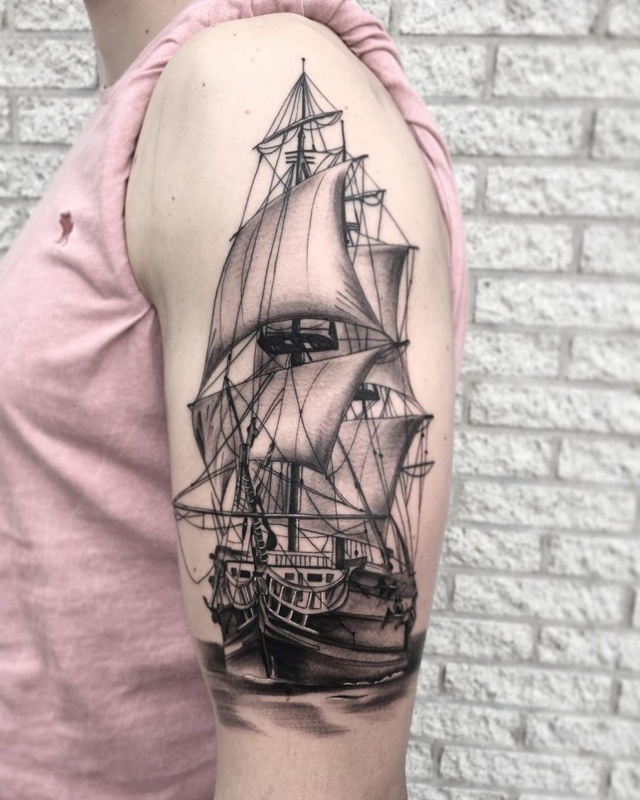 There is a lady who looks like she is from the medieval period or from Pirates of Caribbean and on her hat, there is a beautifully drawn out ship. We definitely love the thought put behind this one. You can make a ship look pretty cute and stylish. 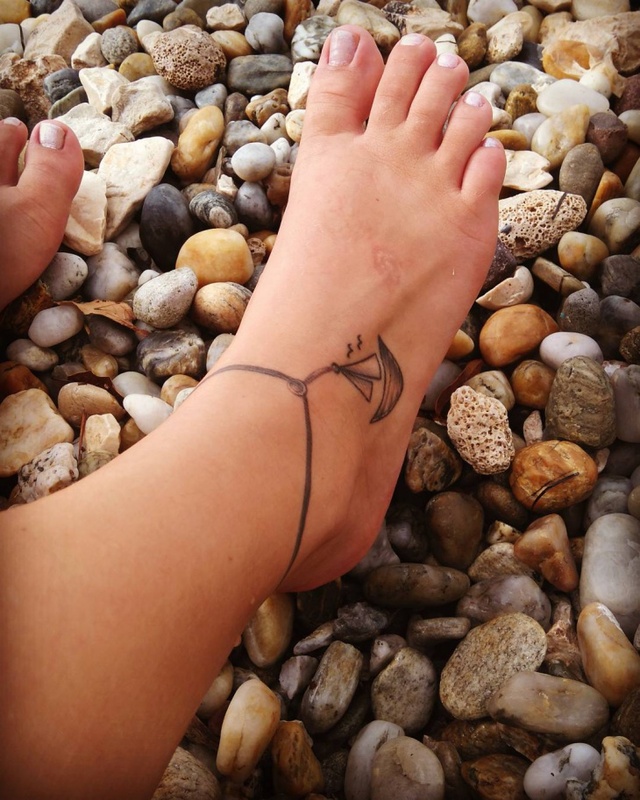 This tattoo gives it a proper beach feeling. There are the water, sky and the ship of course. Surrounded by pretty colored flowers. This gives it a very funky and artistic feeling. 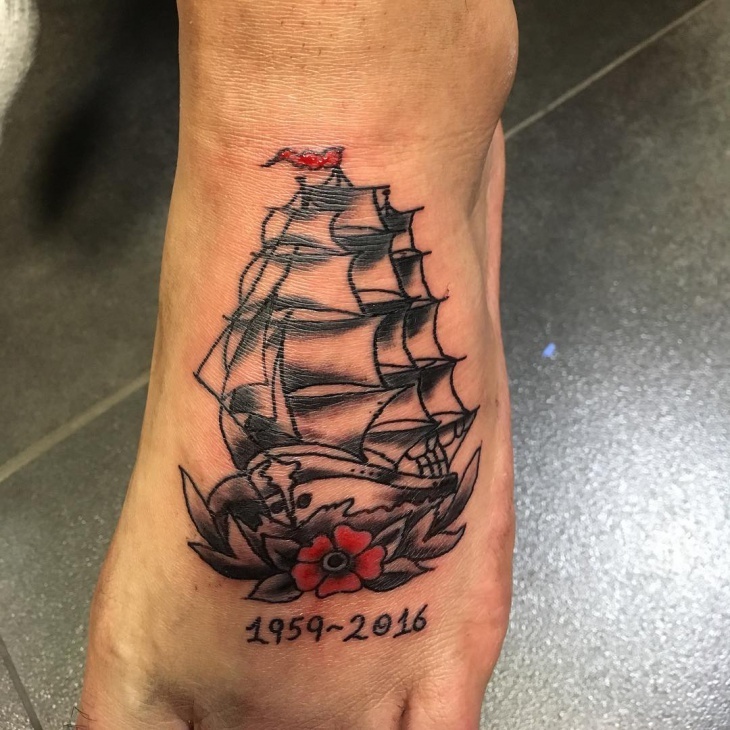 This tattoo has a very deep inner meaning to it. If you look closely, you will see a star at the bottom and the ship on top of it. It symbolizes the idea of “shining during the darkest hours”. 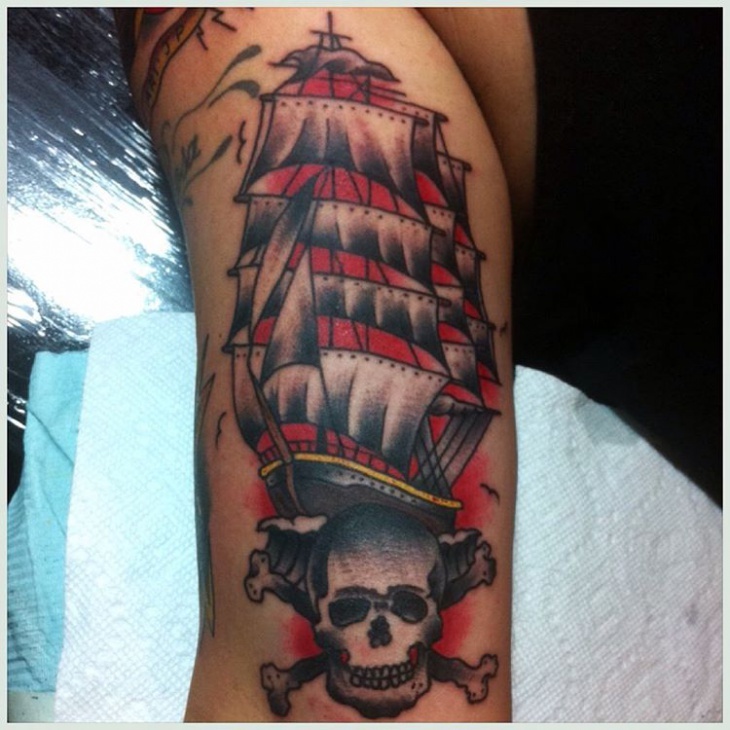 We love the shading done on the design. 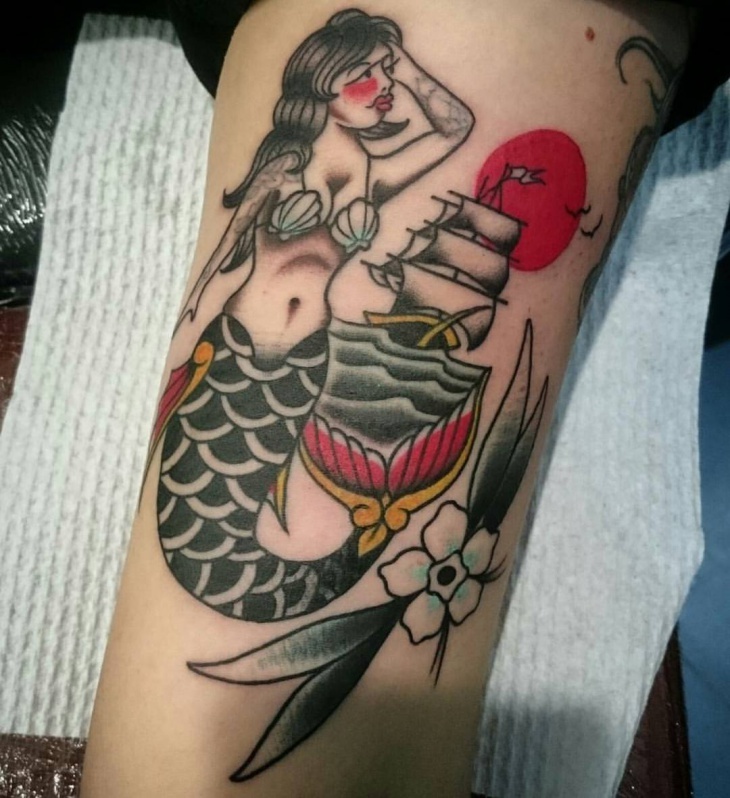 Brings out the depth of the tattoo. The tattoo looks very neat and elegant when you look it from far. 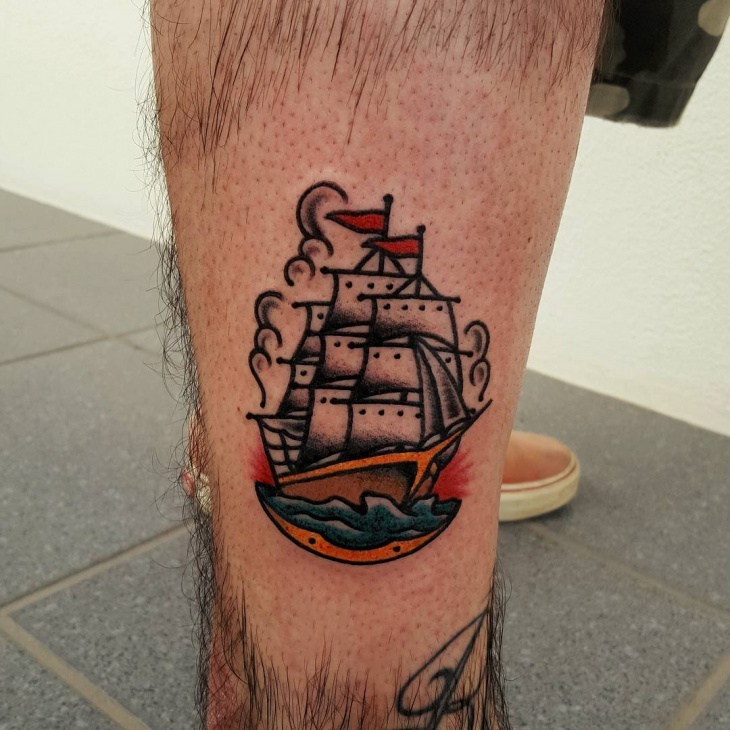 It is small but the shading done is so perfect. The little red done on top and at the bottom gives it a chic look. The year adds a punch to the whole design. 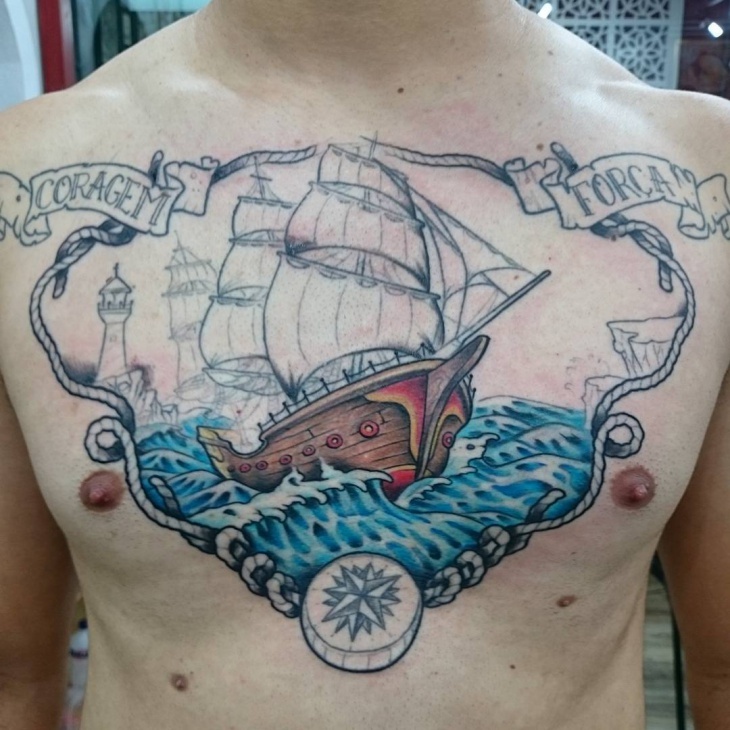 Apart from its crazy design, this tattoo brings out a very strong message. It tells us that you have to be strong and never quiver when we face hard situations. 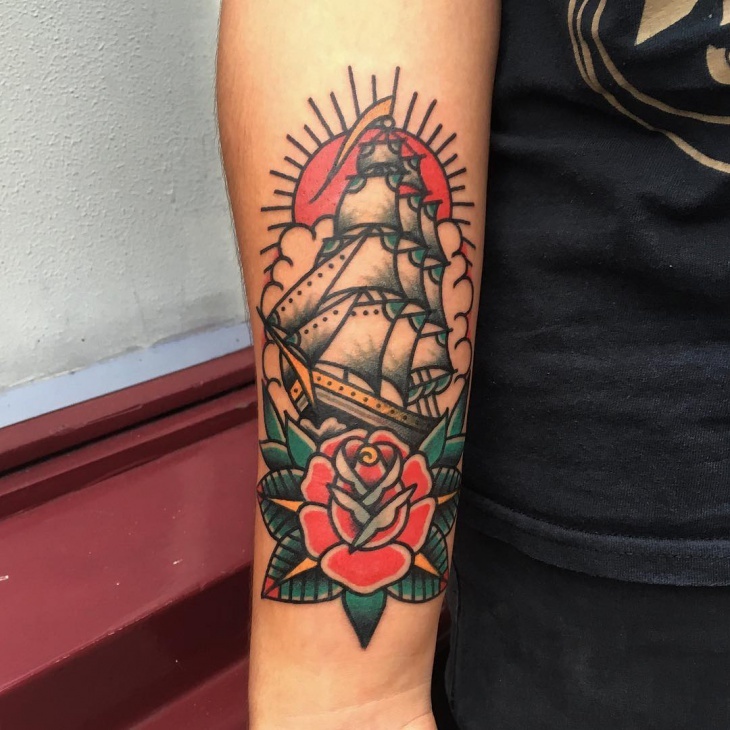 Life is like a ship and you need to keep sailing. This again is a very simple and straightforward tattoo design. 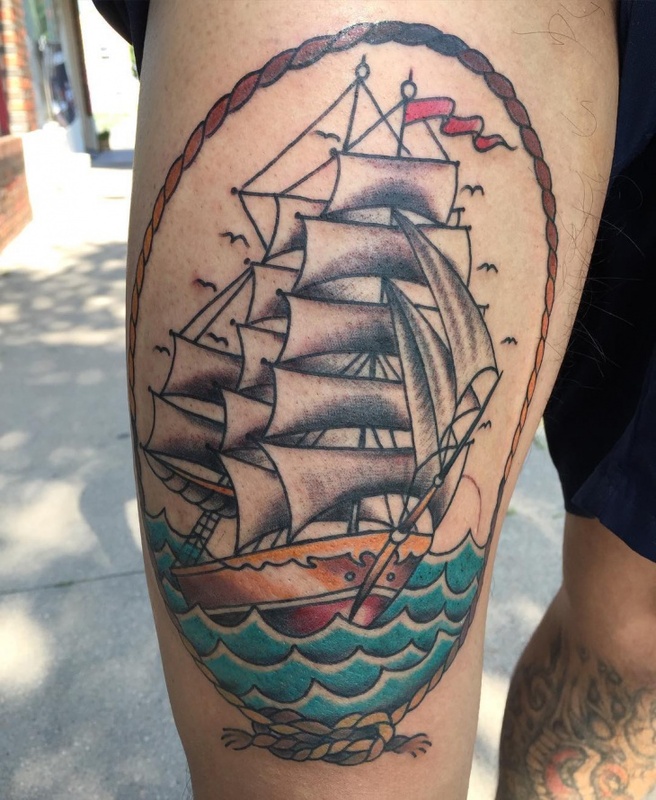 The sails in the ship are done to precision and this is overall a very dainty design. 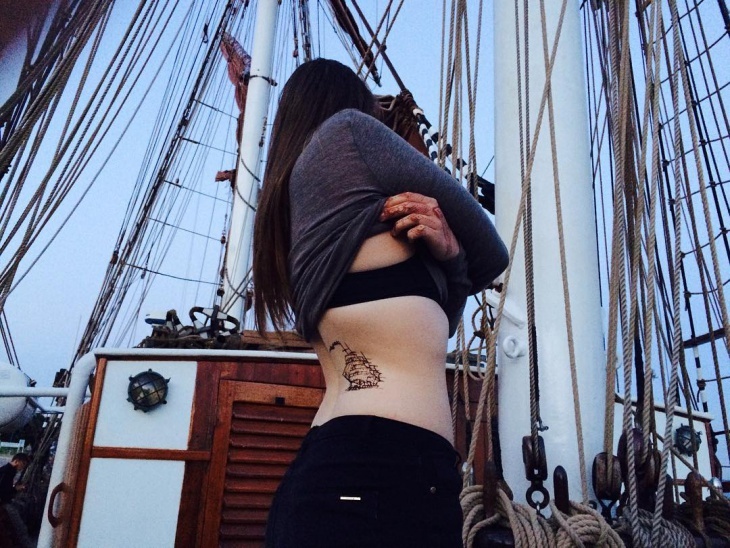 It gives it a very virtual feeling and you won’t fail to notice a tattoo like this. 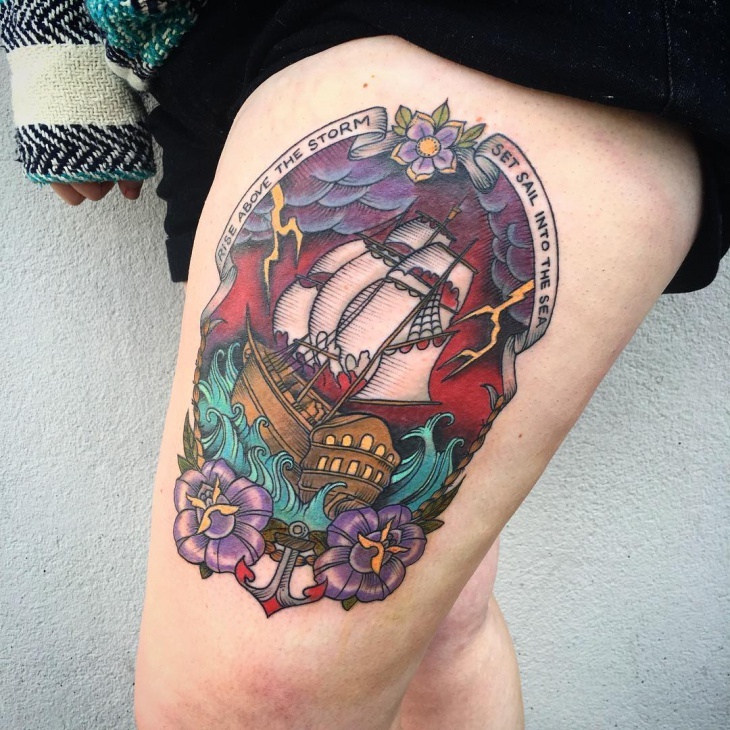 This tattoo is different from the others because it has a lot of colors in it and if you have failed to notice, they have cute tiny flags onto it too. 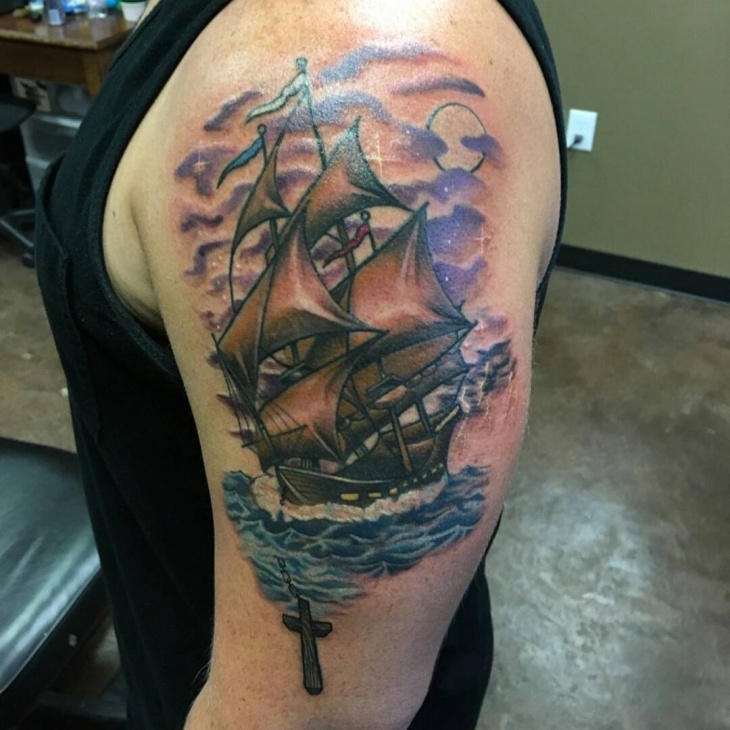 This gives you a feeling of a pirate ship and the purple clouds give it a rustic look. 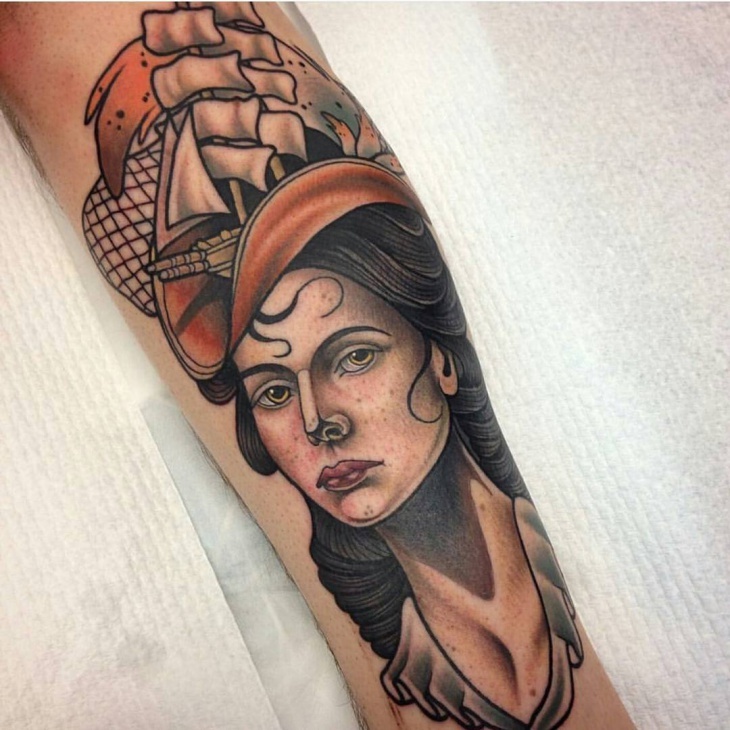 This is a wonderfully designed tattoo and what is, even more, better is the thought put behind it. There is so much intricate detailing into this design. We love the globe put at the bottom that signifies travel the world. This is a very cute and simple design. It is kept very minimal and the color of the waves and the birds around the ship gives it an overall feeling of the ship in the sea. These are 10 designs which we think are completely out of the box and that these should be on your ‘let’s try it’ list.